I have been to the Kosmoderma clinic before once, and my experience was wonderful. 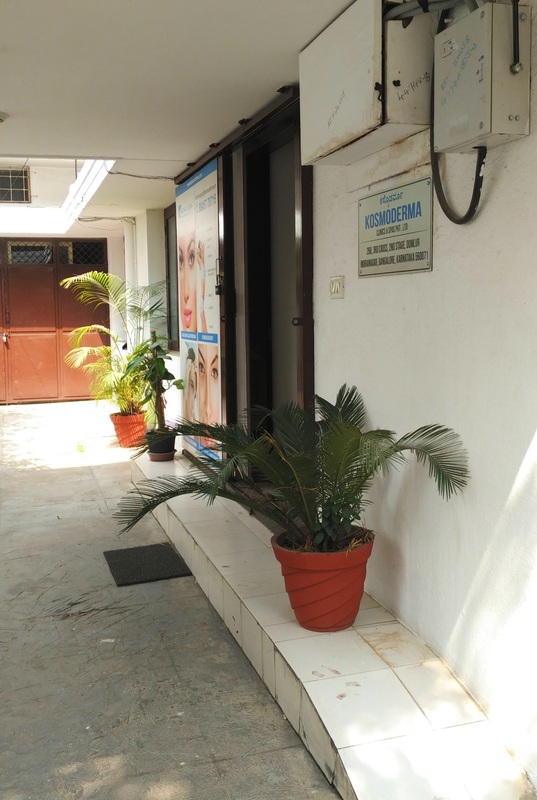 This time I went in to a different branch of the clinic in Bangalore. 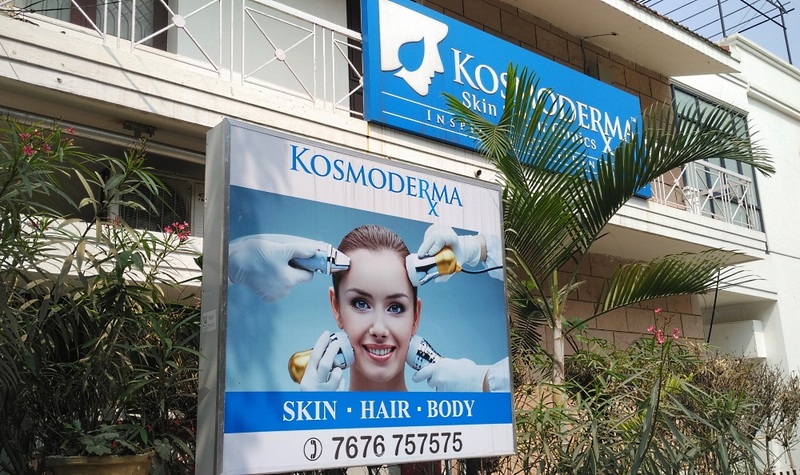 The Indiranagar Kosmoderma clinic has a nice setup and warm people to help you with everything. 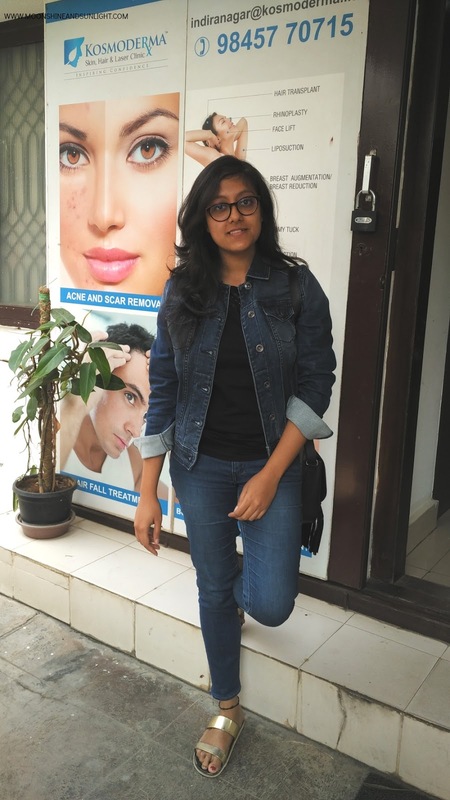 My visit this time around was to try out their Oxybrite Facial. 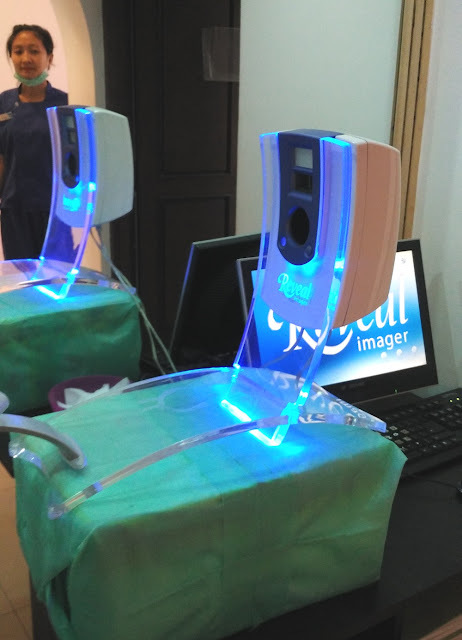 Let me first tell you a little about the OxyBrite facials. So this treatment can be customized for you to suit your skin's requirements. This is designed keeping in mind the busy schedule of busy people like us. They call this the lunch time facial and you don't even need to visit again and again for many sessions for this facial. Information you need to provide before going for the consultation with the doctor. This Facial works basically by inducing Carbon Di-oxide to the upper layers of your skin. So as to draw the oxygen rich blood towards the skin surface and rejuvenate the skin from within. This Facial works for anyone from age 18-65, but they suggest this to people mostly beyond age 40. Because this Facial is specialized to work on dull skin, wrinkles and hydrating your skin. and the difference in this case of mature skin is quite visible. And all this within 30-45 minutes! I was in and out of the clinic within an hour, which is also taking in the time of consultation with the doctor. So, I can vouch for the fact that this is perfect for men/women who are always on the run and take out only little time for taking care of themselves. I hope you could understand how and on whom the facial works best. Now let me take you through my experience. After my consultation, I was given an overview of how the treatment will proceed and how it works and what to expect. The facial is a Four step process with various serums used at each stage. Using special apparatus the carbon dioxide bubbles are introduced on the skin surface. If you feel uncomfortable at any point you can let your therapist know about it. I was actually surprised how quickly the facial was done. If you are looking for a facial which involves a lot of massaging that puts you to sleep, then this is not the one. And since it is designed to be a quick treatment, it shouldn't be one of those facials too. 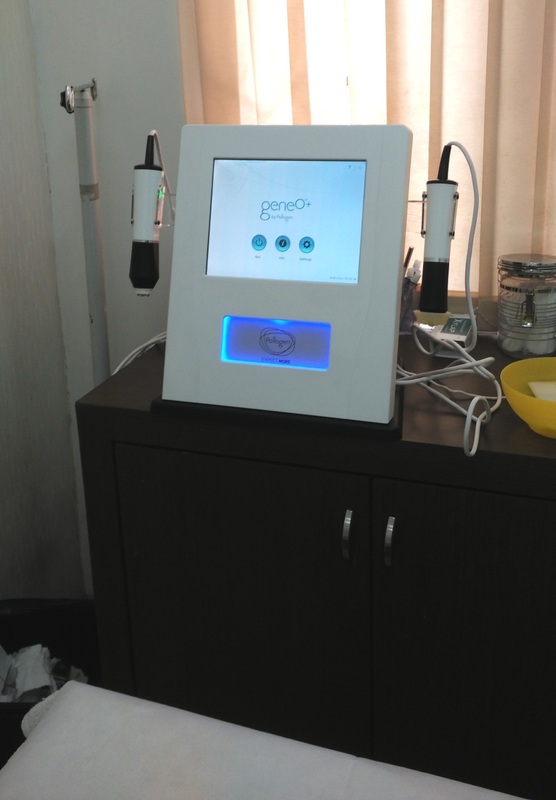 3D Facial Analysis machine to check your skin before the consultation. After the treatment, but skin didn't instantly look clear or bright or anything different as such.It did feel very clear and light. But after a day, my skin started looking clear, moisturized and healthy. This isn't really a "glow-inducing" facial, but it's a more upkeep sort of a facial, which you can get done in a jiffy. Another difference that I felt was that, my skin felt plump and tighter. and I think, it's because this effect it works great on mature skin! The effect is still there, but I think after every 45- 60 days, one needs to get the facial done to maintain the plumpness. 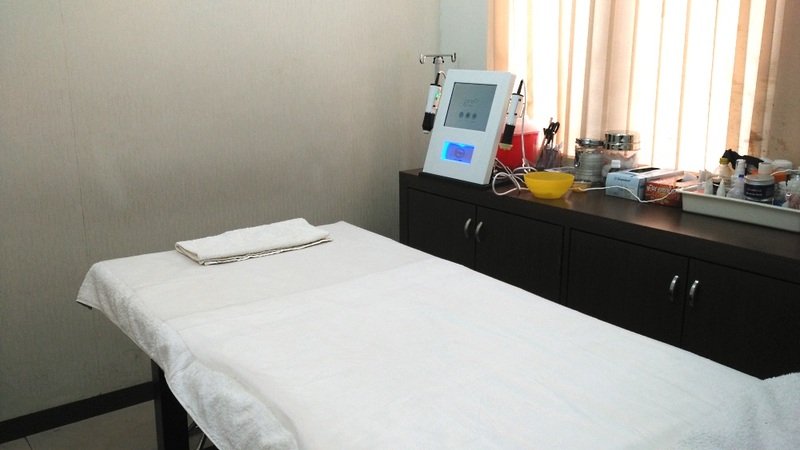 I will definitely recommend this facial to anyone who has mature skin and wants to maintain a healthy looking facial skin and if you have a very busy schedule, then this is your solution! I was prescribed a few products and medicines to maintain a healthy skin and combat my problems. 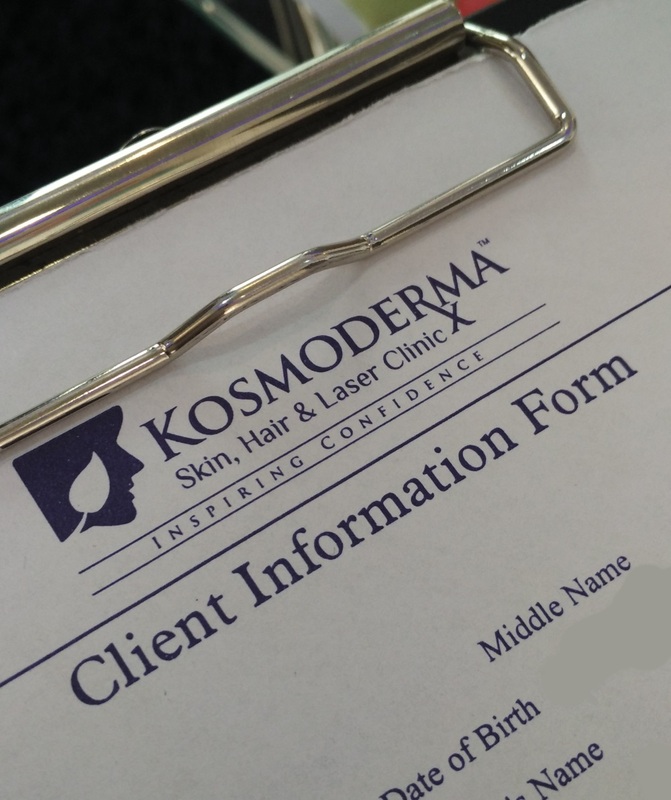 I am using a detan product from Kosmoderma. Will soon be reviewing it here! Let me know if you'd like to know anything else! I am always happy to help!